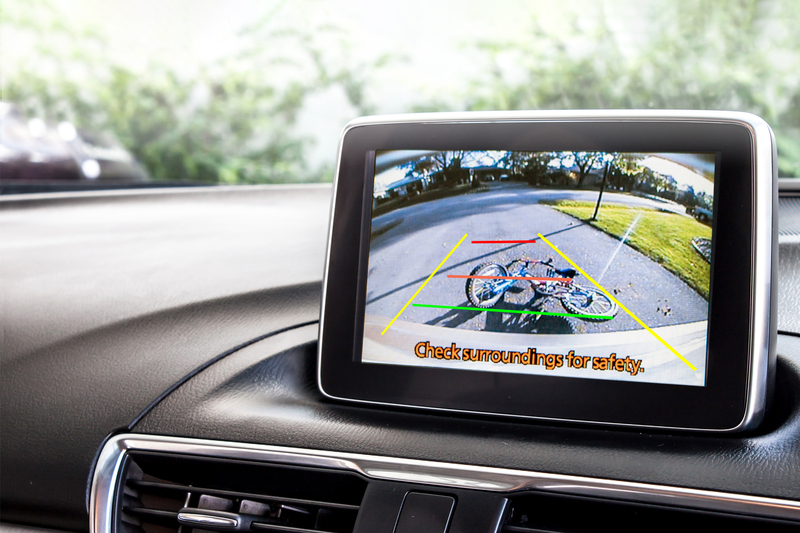 Expanding its line-up of video processors for high-resolution automotive displays, Toshiba Electronics Europe has announced the TC90175XBG. This video processor is suited for the larger, higher resolution driver support information displays that are increasingly used in vehicles for applications other than navigation. Toshiba’s new processor is pin-compatible with the previous TC90195XBG, which supports the composition of two pictures in a single display. The TC90175XBG has a reduced frame memory and targets applications that do not require two-picture composition. This provides designers with the flexibility to choose the most appropriate IC for a given application. The new processor supports full HD (1920x1080 resolution) panels, improving on the support for wide VGA (800x480) of the company’s earlier products. Picture separation mode and two independent outputs allow the device to simultaneously output two digital video signals to a full HD panel and a wide XGA panel at output resolutions including 1920x1080 (LVDS output) and 1366x768 (LVTTL output). Previous products (such as Toshiba's TC90197XBG) were only able to output one signal. A built-in picture improver capability that incorporates a new ‘area adaptive gamma correction circuit improves contrast, realising contrast levels that surpass those of Toshiba’s earlier products (such as the TC90195XBG).